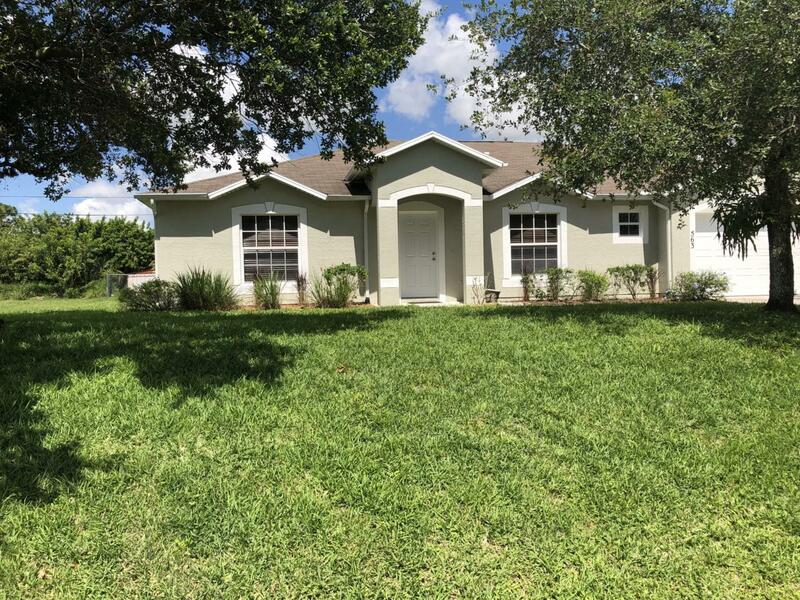 Solid 4/2/2 pool home in Southwest Port St Lucie. Beautiful hardwood floors seamlessly flow through this spacious home from the common areas to the Master Suite. Kitchen has large island with solid surface corian counters. Walk out the back slider to your beautiful, heated salt water pool. No more messy chlorine to mess with! The master is massive with a huge walk in closet. Guys, the garage is a Man Cave with storage cabinets on 3 walls!